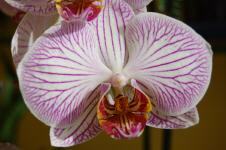 How to look after orchids at home. General Information General information about orchids. 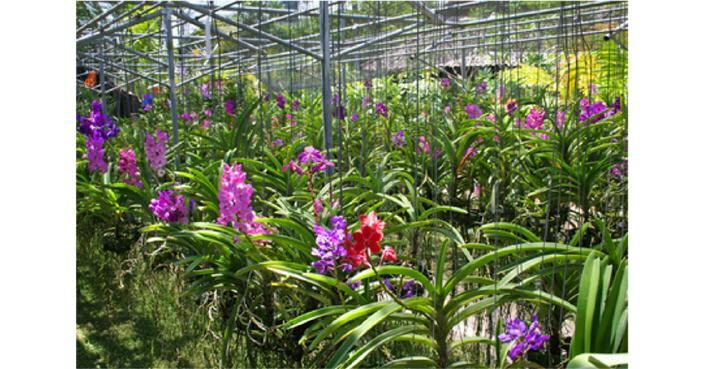 Different kinds of orchids Learn about the different species of orchids. 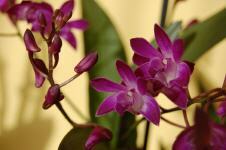 Basic Home Care Guide Visit this space for details of what orchids need at home. Diseasses and pests Detect and treat several diseases and pests that can attack our orchids. 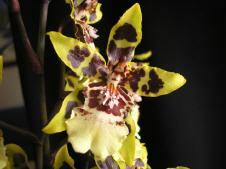 Images If you want to display different images of orchids, visit this link. 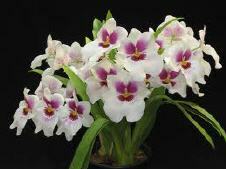 Vandas are one of the most curious families of orchids. 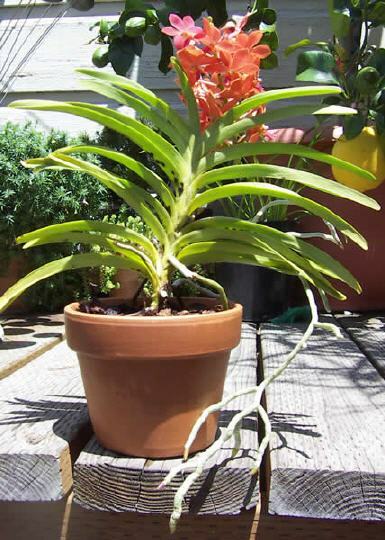 Normally we can find them in garden centers in baskets hanging from the numerous protruding roots are exposed to air. In their natural habit often become large and feed on moisture and dissolved nutrients reaching its aerial roots. Most of them are epiphytic (living on other plants or trees harvested for support) although there are also lithophytes (live on or among rocks). Their structure is monopodial and they develop from a single stem emerging new leaves. These are usually long and narrow shape with a flat base that ranges from closed (folded) on main nerve. The leaf arrangement also gives a peculiar configuration as a small concentric arcs. It is likely that this configuration will help retain and convey water to their roots. The flower buds are born from the stem and between the bases of the leaves. The roots are fleshy and develop hard to provide nutrients to the plant. To do that, they have small pores through which absorb moisture or water and dissolved nutrients. 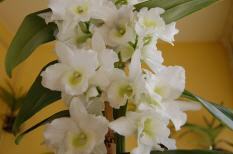 A harmonious and healthy root development ensures good health of the plant. 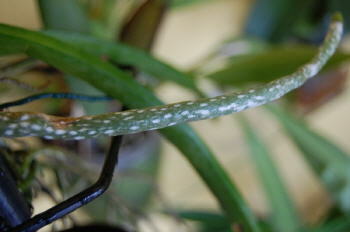 Detail of a root of Vanda. Pores (white spots) where the moisture and dissolved nutrients can be observed. 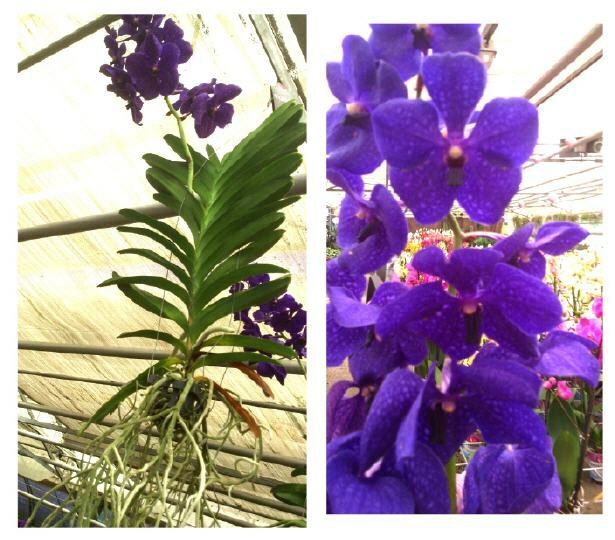 Vandas prefer to have roots outdoors. However, some of them can accommodate to pots whenever the soil has good drainage (mixture of pine bark, ceramic balls, coconut fiber, etc..). Flower buds arise from the stem and between the bases of the leaves. Each flower stem can make normally around 10 or more flowers. The plant is in growth throughout the year. The blooms can also occur as environmental conditions at any time of year, but tend to be more frequent in the spring or early summer. 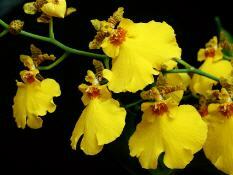 Like other orchids, one factor that stimulates the emergence of the floral bud is the temperature difference between night and day and this usually happens in winter so that flowering took place a few months later. 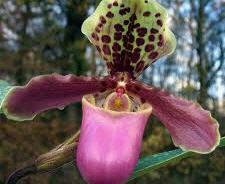 One can manage to produce more than one flowering a year. The length of the flowers is several weeks. Some of them have a delicate perfume. 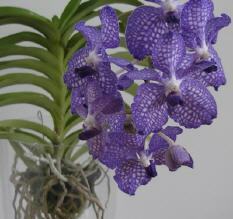 Vanda, especially if we have them at home, will need some lighting conditions and optimum moisture. Some of them can tolerate direct sunlight, it is usually sufficient although a lot of light (outdoor or indoor galleries with large windows). Maintaining a constant low humidity (60-80%) is fundamental, especially for those that do not have a container. To do that, we proceed manually with a vaporizer or humidifier covering daily needs (especially in summer) if the plant is indoors. In the water that we vaporize is also suitable dilute some foliage fertilizer so the leaves can also absorb nutrients. At home it is particularly suitable immerse weekly (or more often in summer) the roots of the plant in a large enough with irrigation water (soft water) bowl and leave for 30 minutes. 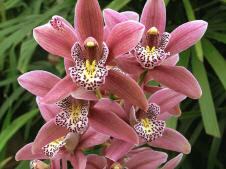 In this water we can also add specific fertilizer for orchids. In this way the plant can absorb what they need. Temperature	 Minimum of 10°C; High above 35°C. From day 20 to 35ºC. Night between 15 and 20 (recommended). Humidity	 The optimum moisture content is 70 to 80% depending on ambient temperature. The higher the temperature, the plant needs more moisture. So in summer you have to increase it. The plant hardly will support environments below 60%. If we do not have enough moisture at home, we will need frequent sprays on the roots. 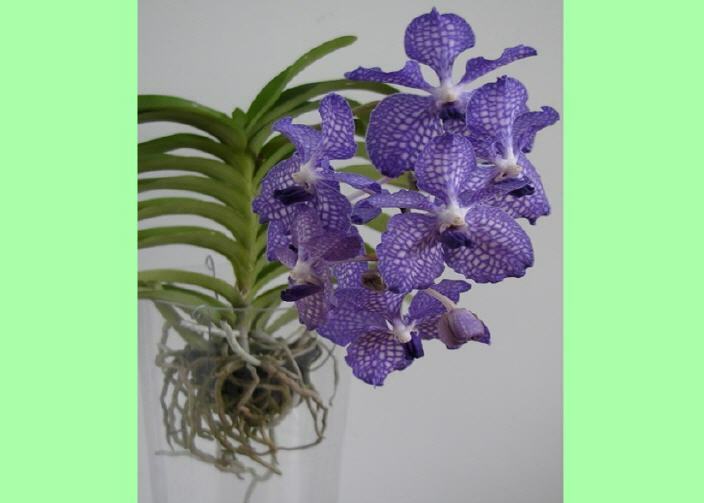 It can help put other plants hanging over or near a source. Light	 They need very bright places. Some species may be exposed to direct sunlight. Fertilizer	 Add fertilizer for orchids in the water we use for dipping the roots. We also use for foliar fertilizer sprays (in 50% of them) on the roots. The number of sprays depends on the level of environmental, increasing them when humidity is below 60-70%. Other	 They need good ventilation. 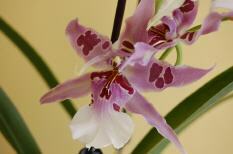 They are one of the few orchids that can tolerate drafts. At home we put near windows that can ventilate. 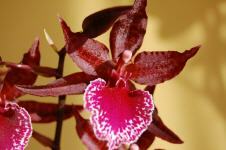 They are not an especially delicate plant if we are able to provide the conditions they need. Please rate this page by clicking an icon. 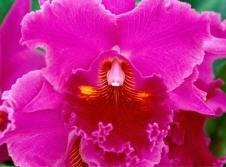 © 2014 - orchidscarehome.com. All rights reserved.